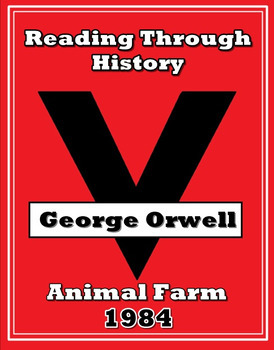 This is a stand alone unit by Reading Through History documenting the life and work of George Orwell. In this download there are three separate lessons covering the life of the author and his two most notable works of fiction. 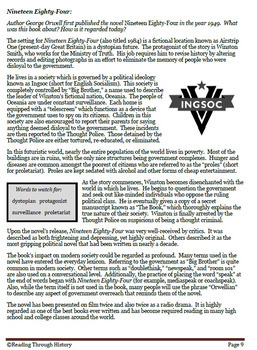 The lessons include an author biography, a synopsis of 1984, and a synopsis of Animal Farm. 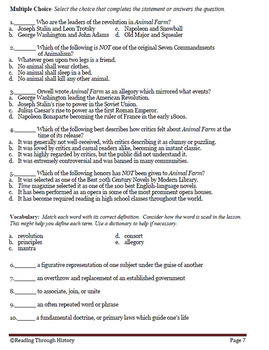 For each lesson there is a one page reading activity followed by reading comprehension questions, guided reading activities, vocabulary activities, student summaries, and a student response essay question. This download includes enough material to cover up to three 30 minute segments of a standard class period. *My students typically complete the work in about 30 minutes. 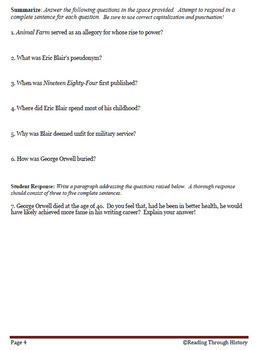 This provides for 10 to 15 minutes of discussion/intro prior to the assignment.